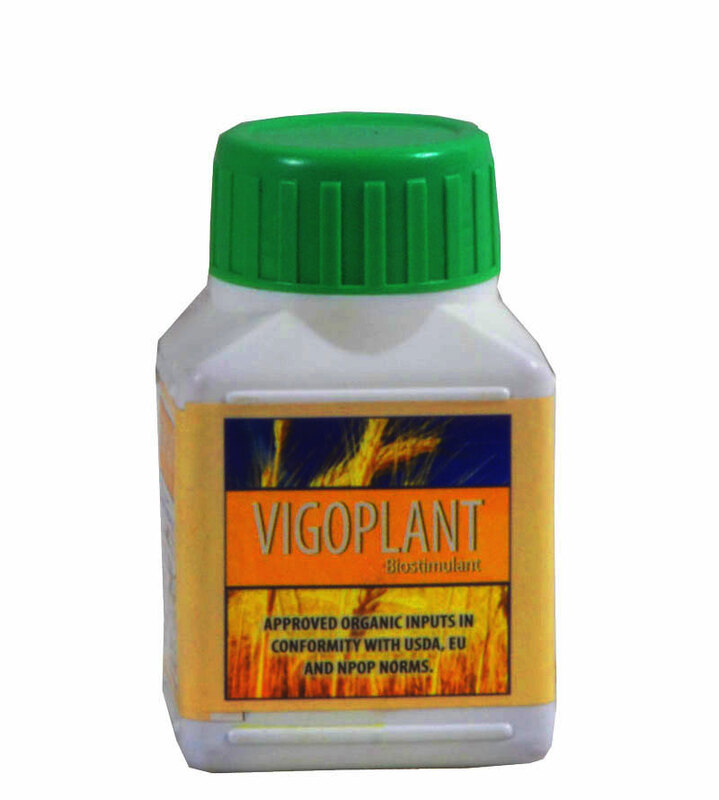 Description : Vigoplant is a formulation that triggers the plant to synthesize the essential for normal functioning, growth and development of plants. Vigoplant corrects the hormonal Imbalance in plants during active growing, flowering and fruit setting periods. Vigoplant improves general health and biochemical Characteristics of plants. It determines a considerable Increase in both fruit quality and production in Quantity. Plants treated with Vigoplant have a greater resistance to Adverse growing conditions, it helps the plant to overcome critical conditions throughout the entire growing cycle.Apply every 10 – 15 days. Dosage Add 2ml per liter of water .